Meet Thor (78415)! 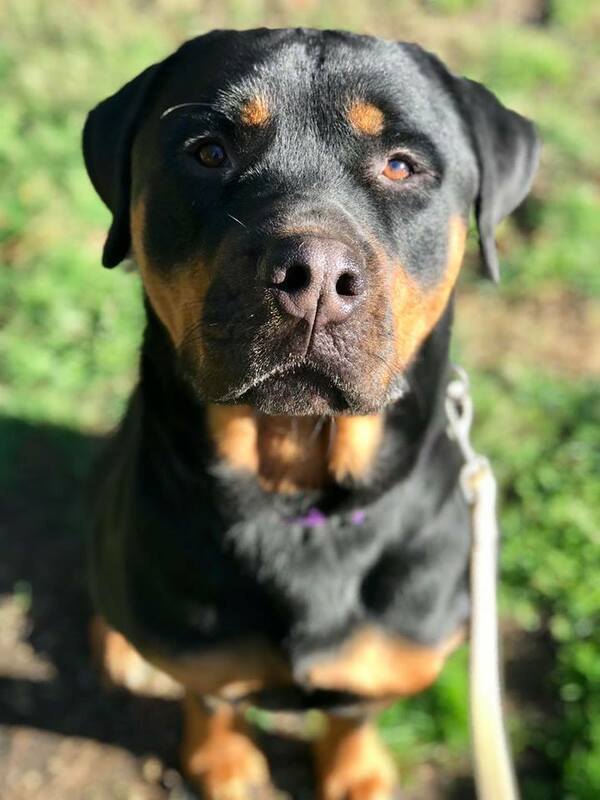 He is about 2 years old and is an adorable, smushy-faced Rottweiler mix. Thor loves people and turns into a puddle of mush when you pet him. He enjoys curling up on the couch for a snooze or playing with his favorite chew toys. Thor is super playful and enjoys balls, squeaky toys, and playing tug-of-war with rope toys. Thor loves being outside, so he needs a home with a large, securely fenced-in yard for him to romp around and play in. Previously, Thor has been house trained when he has access to a dog door to go to the fenced yard. Thor is a smart boy who knows “sit” and is eager to learn other fun tricks. Thor has had a rough start in life, so he can be a bit nervous around new people and in new situations. He is looking for a patient and gentle owner who will give him time to settle in, so he can show you what a wonderful dog he is. Thor can be nervous about being left alone, so he is looking for a dedicated adopter with breed experience who can help get him used to the routine in his new home. Thor would do best in a calm, quiet home without a lot of visitors and without any kids. He needs a home (no apartments please) with a securely fenced-in yard, and no kitties or livestock. Thor is currently being housed in a quiet area of the kennel. If you would like to meet him, please ask at the front desk! You can meet Thor and other adoptable animals at Kitsap Humane Society, open six days a week.